What makes a customized extended warranty your best option? Vehicle owners understand the value and importance of having a reliable set of wheels to get you from A to B. Not to mention how much we depend on our cars in the event of an emergency. 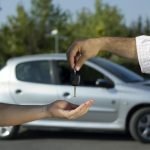 The reliability of a car is directly related to the way it is treated. Taking care of your car is far more than the regular clean and changing the oil. A single motor vehicle is made up of hundreds of parts. 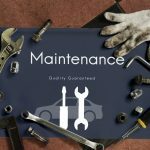 All of which will endure wear and tear, which means that maintenance and repairs are a well-known part of owning any car. While all cars are made with the same major principles in mind, each make and model has its own set of differences. One major factor that determines significant motor variations is the fuel. A diesel motor works differently to a petrol engine, and there are also electric cars and hybrids too. Each of which brings its own unique design aspects to the table. Since vehicles vary so much in design and price, it’s understandable that warranties should too. This is precisely the reason behind the increasing popularity of customized extended warranties. A customized used vehicle warranty can offer so much more than your average plan. The individual and personalized approach gives the vehicle owner that much more control over the coverage they get and the amount they pay. Just as one car differs from the next, so too do vehicle owners. We are not all in the same financial position and sometimes the most elaborate options are simply out of reach. An expert trained in providing true customer service will know just how to interpret all of the needs and financial limitations of the client to as to come up with a solution that meets all of their needs, including budget. The bottom line is that there is no real point in paying for coverage that you know you’re never going to use. 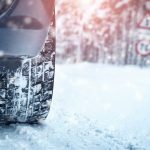 For example, if your vehicle is relatively basic and it does not have features like four-wheel drive or even an air conditioner, then your customized warranty should not include these services. It should really only focus on the main working parts of your car instead. Likewise, if you have a fairly high-tech vehicle, then you will know just how expensive some of the parts can be to replace. In this case, a more comprehensive form of coverage would probably be in your best interests since it can save you a fair amount of money in the long run. Finally, the customized approach offers what every customer wants – personal attention. There’s nothing worse than being brushed over as if you’re just a number with no regard for your needs, questions, and concerns. As the customer, you have the right to know exactly what your warranty entails and the process should not be rushed along. When you choose a customized warranty for your vehicle, you are choosing to put your needs first instead of feeling pressured into a particular agreement. Our friendly team at A-Protect take customer service and satisfaction extremely seriously. We want each an every one of our clients to be happy with our service and confident in our expertise and professional attitude. Call 1(866) 660-6444 or (416) 661-7444 today for further information on our customized used vehicle extended warranty options.